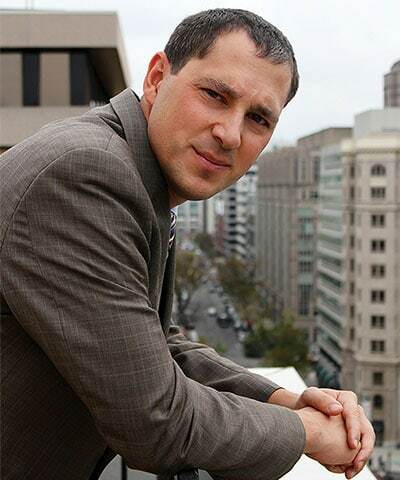 Friends of the Earth President Erich Pica is a nationally recognized environmental and progressive leader, and an economics expert on energy subsidies. For more than a decade, Erich has worked to reform U.S. tax and budget policy to reduce pollution and increase clean energy. His core belief that the solution to climate change rests at the intersection of justice and the environment has developed Friends of the Earth’s strategy to include racial justice and just transition in its work, with particular focus on indigenous and grassroots advocacy. Under Erich’s tenure, Friends of the Earth’s membership has grown to one million people, in all 50 states, most recently realigning priority resources to support Trump defense work. Erich and civil rights leader Judith Browne Dianis recently co-authored an Op-Ed about how Trump Attorney General Sessions is a looming threat to people of color and the planet. Erich and other environmental leaders stood in solidarity with Black Lives Matter, arguing that the right to protest also means freedom from militarized police. And, in September 2016, Erich was arrested at a civil disobedience action at the Department of the Interior (DOI), during which frontline, Indigenous and grassroots leaders renewed their call for executive action to keep fossil fuels in the ground and stop dirty infrastructure like the Dakota Access pipeline. Erich spends much of his time building capacity in the fight for climate justice, through an extensive and varied network of coalition partners. Friends of the Earth aligned with Sen. Bernie Sanders for President at the onset of his campaign, and continues to work closely with Our Revolution. Erich serves as the chair of the board of the Partnership Project and Partnership Project Action Fund, is a former board member of the Safe Energy Communication Council and former chair of the Green Group. He also sits on the executive committee of the Citizens Trade Campaign and the advisory committee of the District of Columbia Environmental Network. Prior to becoming Friends of the Earth’s president in 2009, Erich served as the organization’s director of domestic programs. In that role, he designed and launched many campaigns to bring emerging technologies such as nanotechnology and synthetic biology under greater public and regulatory control and to reform how the federal government manages and invests in our transportation system. The Washingtonian called Erich one of Washington, D.C.’s “40 Under 40: K Street’s New Generation of Lobbyists.” He was named by Washington Life Magazine as one of Washington’s “Green City Leaders” and as one of the “Capital Region’s Most Influential Under 40 Residents.” He also appears in Washington Life’s “Power 100” special report. He has testified before Congress and appeared extensively in the media. Erich lives in Silver Spring, MD with his wife and son.